Sussex Police said nine people have been arrested after a man was ‘punched and kicked’ in Brighton this morning (August 20). Police said they were contacted by the ambulance service after a serious assault at Old Steine at around 2.43am. 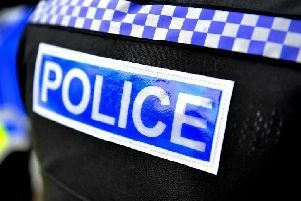 A police spokesperson said: “A man is reported to have been repeatedly punched and kicked by a group of youths at the location, close to St James’s Street. “The victim, a 37-year-old man of no fixed address, was taken to Royal Sussex County Hospital for treatment and has since been discharged. “Following enquiries, police arrested nine people on suspicion of committing grievous bodily harm in Black Lion Street shortly afterwards. “They are seven men from Brighton and Hove, aged between 18 and 23, a 19-year-old man from London and a 22-year-old woman from Hove. “They all remain in custody at this stage.